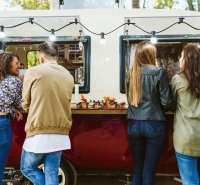 Across the retail and food service world, business owners have wised up to the benefits of running a digital POS platform. These smart registers allow you to compile extensive data on your customers, inventory, and employees, and give you the tools to follow up and make sure you’ve covered all their bases. Even better - they’re easy to use and can be navigated with a flick of the finger on a tablet or smartphone. We take a look at two of the big names in the industry - Revel and Toast - in a head-to-head matchup. May the best POS system win. Revel has an exhaustive list of features that could make your head spin along with its spinning counter-top terminals. It accommodates customizable discounts that can be applied in real time from anywhere in the business, and will help you build a customizable menu for your business step-by-step. When it comes to customer management and outreach, you can create no-paper gift cards and an online ordering system - both of which help you build up customer data that can be used to develop a customer loyalty system with rewards, discounts, and other outreach. Revel’s customer relationship manager feature “treats every customer like a VIP,” by crunching the numbers to help you appeal to individual customers. This system uses data and customer habits so you can give customers targeted, tailor-made deals that keep them coming back. You can also use the system to easily manage employees. In addition, the instant inventory and stock alerts are great assets, as is the top notch security that keeps things encrypted and humming along nicely. Toast is ready to put in work and can take orders on tablets and counter-top terminals that can turn and face customers. Waiters using the tablet can instantly communicate between front and back of the house – taking orders, sending updates and order changes to the kitchen, and managing and splitting checks from all spots within the business. Toast can print both paper, text and email receipts for orders. The latter options can help you build up a database of customer details, to better target them with ad campaigns down the road. You can also use Toast to control which employees can access or modify orders – when it comes to discounts or cancelling checks. In addition, you can give employees a 4-digit pin, which allows you to more accurately observe and record who is working and when. Though it will cost you an extra $50/month, Toast offers integrated online ordering, which is a great way for customers to place orders and buy gift cards from your business, without ever having to pay a visit. There’s just a ton of features here. Toast offers a series of packages tailored to a variety of businesses whose needs aren’t always the same. The express package is the most affordable, starting at $79/month, and is geared towards quick service restaurants. The next step up is the professional package, at $99/month, which is a more sensible option if you’re running a full-service or fast casual restaurant. After that, every additional device you use costs $50/month. If you’re going bigger, the professional package can meet your enterprise business needs, though you’ll have to call Toast and set up a chat with a sales representative in order to get a price quote. For the higher cost though, you’ll get a senior account manager, enterprise reporting, and other sophisticated tools that somebody running a simple taco stand or café probably doesn’t need. Regardless, you’re also going to need to purchase hardware. For the express package, a 10’’ terminal sells for $610 and up, while the professional packages start at $899. The professional package can also support mobile POS tablets on Android. Revel, on the other hand, doesn’t publish pricing details - you’ll have to write them an email and set up a 5-minute phone call with a representative. As a ballpark figure, packages start at $139/month. Keep in mind that Revel can be run through Apple devices, which tend to be more expensive than Android tablets. It’s cheaper than Revel and doesn’t require speaking to a sales rep or giving any personal information just to get a clue about the pricing. The average employee probably won’t need more than about 30-60 min to learn how to use Toast, and the same goes for Revel. Toast has a highly intuitive touch screen with clear visuals and a self-explanatory interface that servers can use to glide through orders during a busy dinner rush. Splitting checks is one of the most annoying requests food servers deal with, but using toast it’s a matter of just dragging and dropping orders onto separate bills as needed. In addition, orders can be voided in a flash if a mistake is made, or a customer has second thoughts about that filet mignon. Revel also has an intuitive interface built for businesses that need to keep things simple and straightforward under pressure. The interface does have a slightly less appealing appearance than that of Toast, and with a wealth of features on hand, it can seem a bit busy at times. When it comes to the more advanced features, it should take a good bit of time to master it all. Toast currently integrates with 29 different apps and programs that are true assets for businesses in the foodservice industry. The integrations are split across 6 categories – mobile pay, labor management, inventory management, accounting, online ordering, and loyalty and gift cards. They include apps like Bevager, which manages drink orders and beverage stocks, as well as accounting app Shogo and Grubhub, one of the top internet online marketplaces for the foodservice industry. When it comes to Ecommerce and mobile ordering, Revel integrates with a number of industry leaders, including Shopify, Chowly and Zuppler. In terms of accounting, you can keep things on the up and up with QuickBooks Online and Xero, and customer loyalty and employee performance can be managed through integrations with 7 different apps and programs such as Homebase and Pepper. Revel can also process payments through Apple Pay, PayPal and Braintree, and can be integrated to take Bitcoins for payment. All in all there are 17 categories in which Revel has either created its own services or integrated with 3rd party companies to create customer solutions, including in the fields of accounting, loyalty programs, gift cards, and security services. The company has gone the extra mile – and then some – to develop market-ready solutions and integrate with some of the best names in the business in order to help make their platform one of if not the most versatile on the market. Revel has a phone hotline for sales and technical support, and can be reached by email or an online form on the website. Revel representatives are also readily available by live chat on the company website, even to non-users, and they are very responsive and helpful. Toast has a searchable knowledge base, which should be able to answer most questions. If not, a US-based support team can be called by phone, though the number is supposedly “for emergency issues.” There is also an email address for “moderate issues,” if it’s not too pressing. Representatives work 24/7, so you should be able to get assistance no matter when a problem arises. With an online chat option that’s always responsive no matter the time, as well as the investment put into providing information by way of Revel University and other avenues, Revel has simply put more resources into customer support. According to Toast, customers have used the platform’s data analysis and reporting to improve turn times by 15% and staff tips by 30%. The customer relations management system is a major part of the data work the company does, in that it aggregates customer contact information and order history, in order to figure out their behavior and what they’re looking for and how to market to them. This is then integrated with their loyalty and gift card programs. 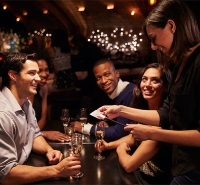 For employee management, Toast analytics can give you a clear idea of which workers are the most productive or profitable for the restaurant, possibly taking out some of the guesswork when it comes time to decide who to keep on staff and also, whether you have too much or too few staff at any point in time. The data calculations Toast does also can be put to work to figure out how to rework your menu by showing you which items are selling the best, and which are most profitable. Food service may be a passion of many in the business, but it can also be a science - and these analytic tools could really give you a good boost. Revel has developed its own app for data and analytics management called Insights by Revel. It can manage one or several locations from anywhere at any time with rich, detailed visualizations of all of the minutiae of your company’s operations. It gives you readouts on how the store is performing now in real time, and compares how it is trending to past performance. The app is also adept at employee management, sending out instant notifications about employee hours, so that you don’t rack up unnecessary overtime hours or don’t get stuck with not enough – or too many – employees in house at any given time. Revel is proud of the app’s ability to make forecasts about future demand for products and services based on a wealth of data analysis that the app specializes in. Insights by Revel brings all the analytics and reporting under one roof, and gives you the tools and knowledge you need to stay on top of the game. 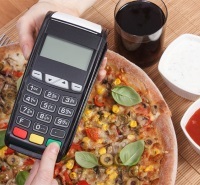 Selecting a POS system is a major decision for a business, and one that can seriously affect your bottom line. 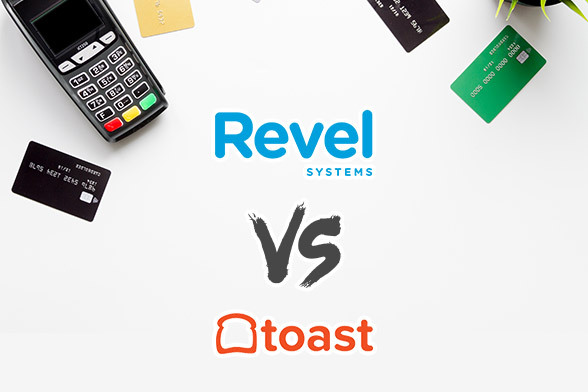 With its wealth of features, top of the line customer service, and extensive integrations, we believe Revel is the best option for your business, even though Toast is more affordable and can be a bit easier to master. To read more about these POS companies and for helpful tips, be sure to read through our informative articles. The Top10 POS Systems staff is comprised of professionals with a vast knowledge across the world of POS systems. Members of our international team have extensive first-hand online experience in the following: setting-up and maintaining POS systems for small businesses; utilizing advanced POS tools and strategies; copywriting and editing for various online and print publications.